Performing in Paris, then Athens, and then heading to the premiere of his very own documentary – within a few years, Martin Garrix’s life has been changing rapidly and has certainly become one incredibly exciting and hectic life filled with endless successes and accomplishments. Not even 20 years old and the magnificent Martin Garrix has performed in just about every country you could name, has performed at various, renowned music festivals, won multiple awards, and the successes don’t stop there. 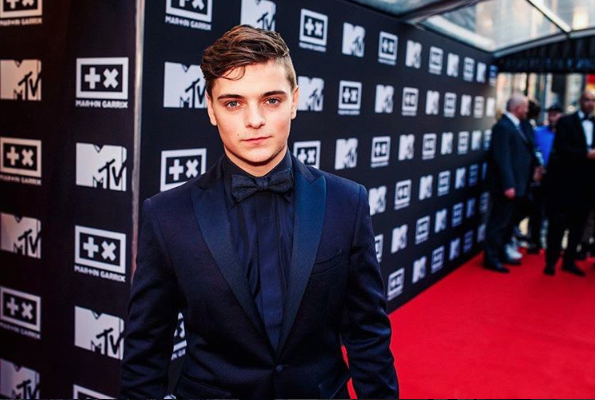 Martin Garrix just celebrated the premiere of his very own MTV documentary titled “The Ride”. What better way for Martin Garrix to celebrate than at his very own hometown in Amsterdam and with some of his closest friends including the remarkable DJs Jay Hardway and Julian Jordan?! There to celebrate Martin Garrix’s special day was Jay Hardway and Julian Jordan, amongst many others. Here at Alexisjoyvipaccess.com, I’d like to send the biggest congratulations to the legendary Martin Garrix on all of his stupendous successes and on his documentary “The Ride”! We all can’t wait to see it, Martin! Follow Jay Hardway on Twitter: @JayHardway and check out our VIPAccessEXCLUSIVE interview here! Previous Article: Jay Hardway Takes You To Outer Space With His Phenomenal Track “Stardust”! Check It Out Here! Next Article: Jillian Rose Reed Looked So Radiant At The Marie Claire “Fresh Faces” Issue Release Party!